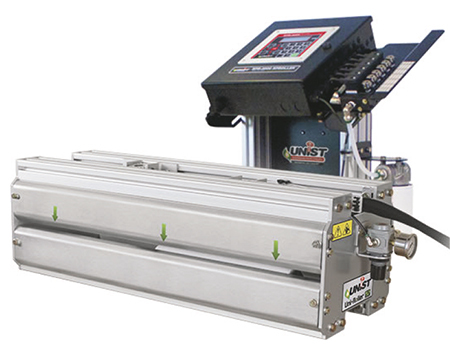 Unist, Inc., Grand Rapids, MI, has updated its Uni-Roller stock lubricators with an improved, space-saving design, allowing the Uni-Roller S2 to deliver consistent lubrication in smaller press windows. The S2 features improved guarding, which helps guide material when loading coil stock or feeding blanks, and offers increased protection for the system’s rollers. The heart of the S2 is a unique internally fed roller, which allows the system to apply the exact amount of lubricant required, according to company officials, resulting in a 50-percent-plus reduction in lubricant consumption along cleaner floors and press areas. And, the S2’s rollers feature a new quick-change design for rapid and simple roller-cover replacement.